Hi guys, it's freaking Monday. Let's hear a round of moans and groans. I absolutely hate the start of the week, especially this week. Staying up all week has finally caught up with me. I'm like a little polish zombie that says 'holos' and 'glitters' instead of 'brainssss', haha. Moving on from my weirdness... Today I have a gorgeous collection made for summer fun from CDB Lacquer. Here I'll be showing you the first four of the eight polishes from the Vivid Vixen Collection by CDB Lacquer releasing very soon. I've been so excited to show you guys, I think you're gonna love them! The rest of the collection will be available on Wednesday. Fair warning: this post is extremely photo heavy. 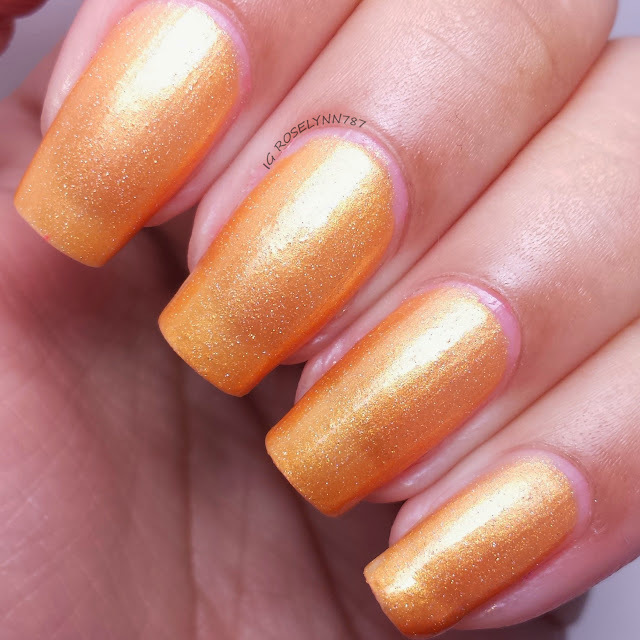 Foxy is a beautiful soft orange jelly with a scattered holo finish. Unfortunately my photos cannot do this polish justice. 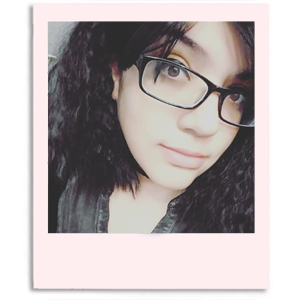 At first I didn't think I'd like it against my skin tone but it ends up giving my skin a nice glow. Almost as if my pale hands have a tan, haha. Even though orange is a summer type of color, it's so rare to see! 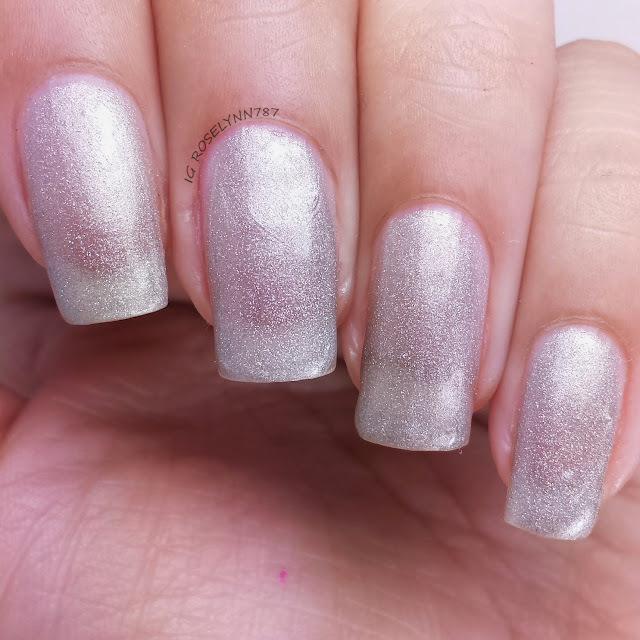 Swatched over a clear base, used four-five thin coats, and sealed with a fast-drying topcoat. Formula worked well, however, it was a lot more sheer than expected. It took me four to five coats to achieve a level of opacity I was comfortable with. 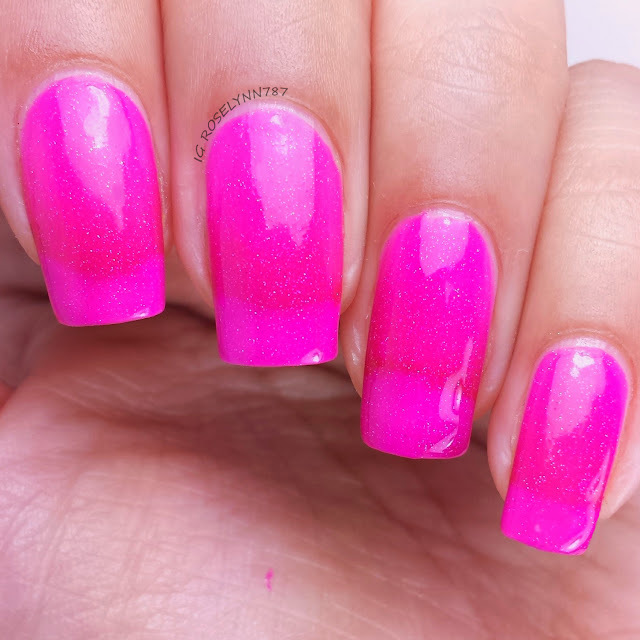 This is an early version of the polish, Cheyenne has changed the formula a bit so that you'll only need three coats for fuller opacity. Attitude is a beautiful aqua jelly with a scattered holo finish. Is it too early to start calling favorites? Cause this one right here is a top contender for the single must-have of the entire collection. Teal has become one of my all time favorite polish colors (thanks to a certain nail sister of mine) and this is a unique addition to my collection. I can imagine a lot of fun art over this or even some decals. Attitude was the perfect name for this too, whenever I wear it I have this crazy sassy attitude haha. My hubby thinks it's hilarious. Swatched over a clear base coat, used three thin coats, and sealed with a fast-drying topcoat. 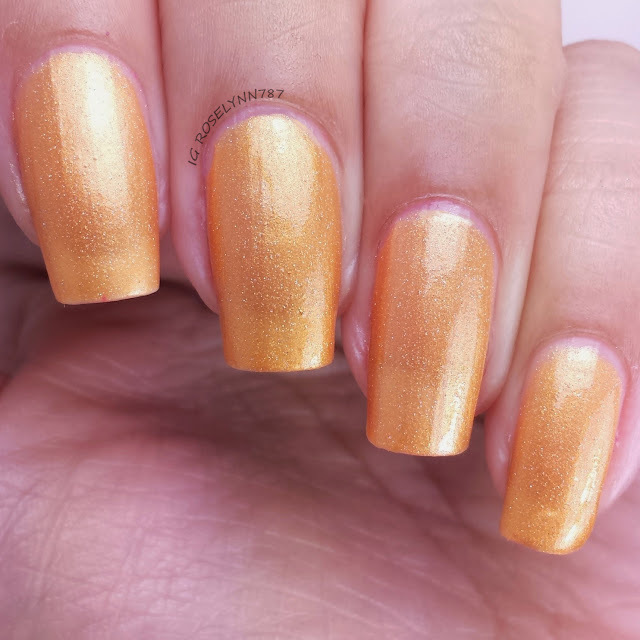 This one was definitely not as sheer as I was able to only use three thin coats. Formula application is excellent, I didn't experience any problems applying or layering. Definitely add a topcoat to give it a nice soft glossy look. Passionate is a fuchsia colored jelly with a scattered holo finish. Jumping jellyfish, this one is bright! I always tend to lean more towards loud colors and this one is right up there. It definitely can rival up against some of the mainstream neon colors out this season. Best part? No staining. I was definitely both happy and surprised at that considering the heavy pigmentation. Swatched over a clear base coat, used three thin coats, and sealed with a fast drying topcoat. Out of all the polishes I feel this one in particular had the most 'jelly' look to it. Formula was really good, I had no clumps or trouble layering. I only had to use three layers to achieve a fuller opacity look. 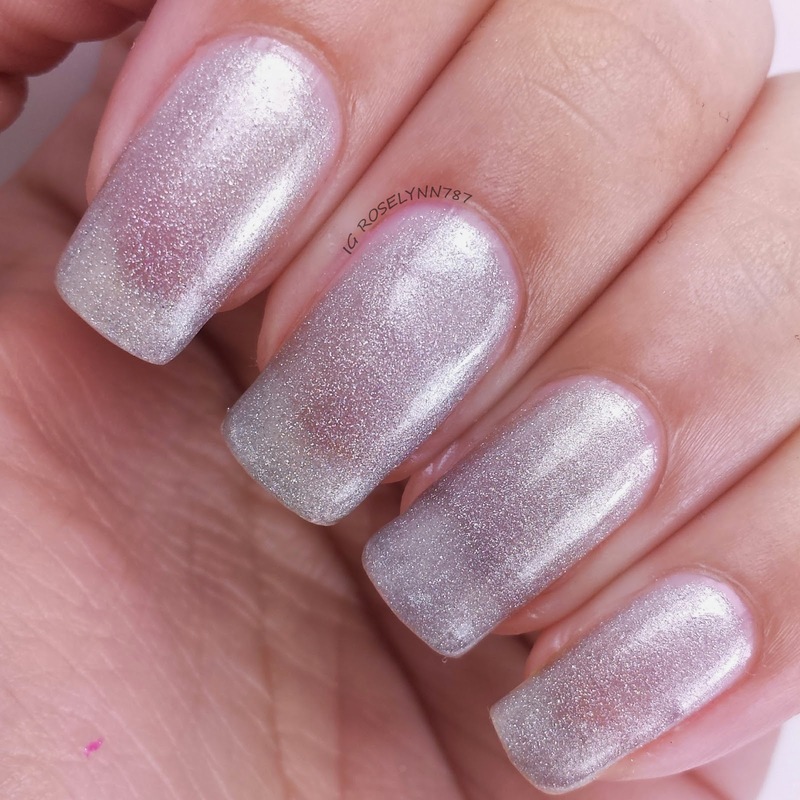 Spirited is a gorgeous silver jelly with a scattered holo finish. This one is also another one of my favorites from this collection. The holo in this one is absolutely amazing. I wish I could take daylight photos but I'm mostly an indoor night time swatcher. 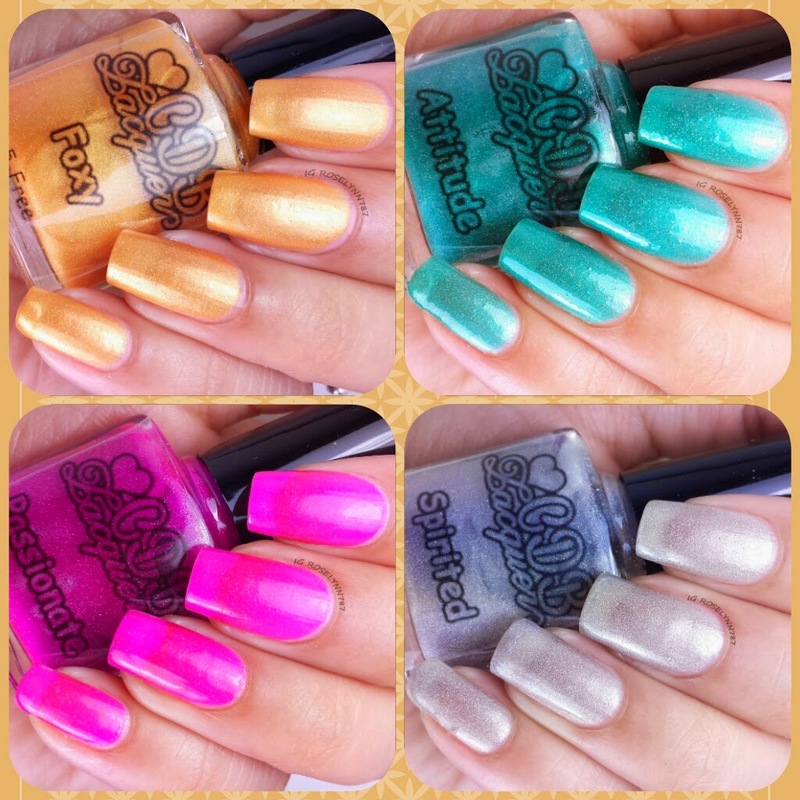 You can see some of the holo shots on the store website or instagram though. At first it feels a little odd among the other bright and colorful beauties, but picture the colors of the rainbow. I can definitely see why she included this in her collection. Swatched over a clear base coat, used four-five coats, and sealed with a fast drying topcoat. Like Foxy, this one was extremely sheer for me even with three coats so I had to add a few more. Cheyenne has also addressed the problem with this one and the formula for release will only require you to use three coats for fuller opacity. Overall I'm really loving this first half of the collection. There is a really nice range in color that's clever and unique among all the collections being released this summer. A little something for everyone's taste. The formula is really easy to apply and even with the extra layering I didn't experience any trouble. 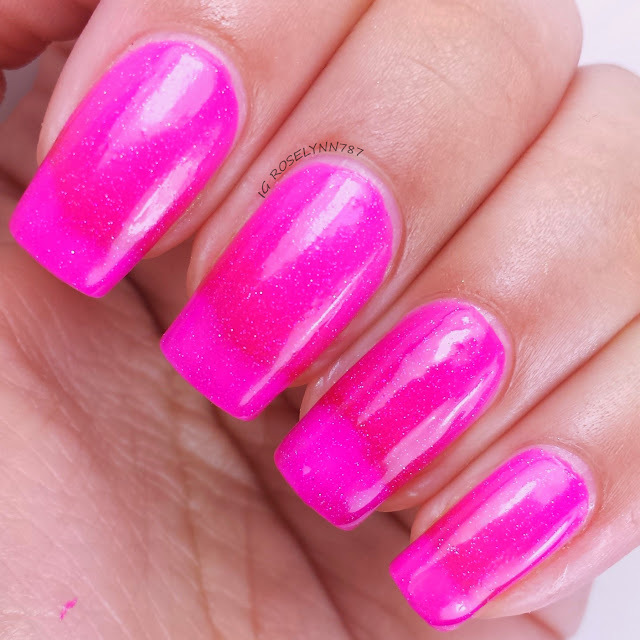 The adjustment to address some of polishes being more sheer than others will ready for the release batch so you guys have nothing to worry about there. The Vivid Vixen by CDB Lacquer will be releasing June 27th. Mark it on your calendars. Go ahead I'll give you a minute. Got it? Okay. The collection will be available in both full and mini sized bottles, however, minis are limited in stock. Don't forget to follow CDB Lacquer for up-to-date stock information, sales, and polish releases! I cannot wait to show the rest of the collection! Stay tuned. Love ya guys.